We have already reached the Quarter-finals of the World Cup with four matches that will take our breath away. Brazil, Colombia, France, Germany, the Netherlands, Costa Rica, Argentina and Belgium justified the first places they got during the Group Stage. Things are now getting more serious. The host of the competition, Brazil, remains the top favorite to win the prestigious trophy. Even if they will manage to overcome the ambitious team of Colombia easily nothing is certain especially when their next opponent will be France or Germany, two former World Champions. I have no doubt that this is the best World Cup I’ve ever seen. Great matches and lots of goals made me sit in front of my TV for the entire ritual. Pre-Game, match and Post-Game and over again! Unfortunately there only seven games left to find out the new holder. Let’s hope we’ll all be well to watch the next World Cup 2018 in Russia. I am almost certain that FIFA’s officials are rubbing their hands with delight at this moment. Brazil made it here despite the multiple heart attacks in the penalty shootout against Chile. Other strong teams (mainly Spain, France, Italy and England) did not make it in their groups and left the competition early. The marketability of the competition was not affected as the Round of 16 kept us interested. Five of the eight matches were driven in overtime and two of them on shootouts. I find it very interesting that only Colombia and France got easier wins (2-0 against Uruguay and Nigeria respectively) while the Netherlands had a hard time overcoming Mexico (tied at 88 ‘, penalty in added time). I admit that our performance in the match against Colombia scared me. It was not the extent of the defeat (3-0) but the nervousness of our players and their inability to send the ball into the net. The red card at Katsouranis at 38’ of the second game (0-0 against Japan) was probably what we needed. Our team found the lost confidence and the victory against Côte d’Ivoire was not a surprise to most of us. Greece loves the drama in the Group Stage and we know it. We saw it in 2004, in 2012 and we saw it again in Brazil. Our National Team qualified again with 4 points forcing many Greeks to get out on the streets and celebrate. I would like to see our National Squad at the Quarter-finals but I do not mind they did not make it. They gave their best and that’s what counts. This is why we will always be proud of them. Whether we like it or not, the best team does not always win in soccer. Let us not forget Greece has got wins and qualifications from time to time without being better than the opponent. This is the soccer and this is why we’re addicted to it. I have one last comment for those who criticize Katsouranis and Gekas. Yes, we were in need of their good performances but we should also consider what they have offered in the National Team since 2003 and 2005 respectively. Katsouranis has 114 appearances (10 goals) and Gekas 76 (24 goals). I wish they could play at 100% forever, but it is not possible. Especially Gekas who lost a penalty during the shootout; he was the unlucky man in a process that can only be compared with the roulette. I hope some Greeks will wake up and start evaluating the reviews they read here and there and the reasons they are published. Some people just write whatever comes in their head because they want the fuss and the comments. If you do not understand that you are probably on the wrong website. PS: It is about time we leave Mr. Santos in peace. His response after the defeat was an unpleasant surprise for all of us. 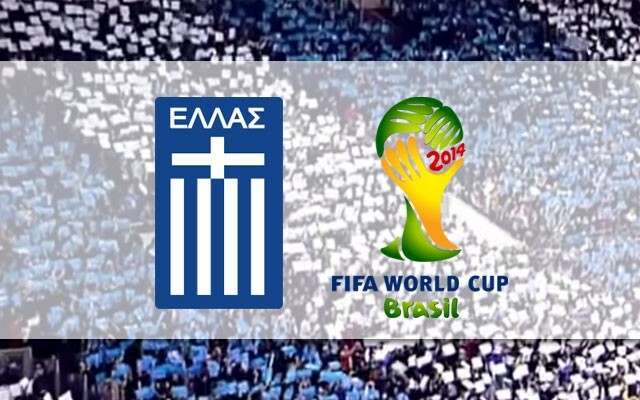 Just do not forget who took Greece to the Round of 16 of a World Cup for the first time in our history. You could say the players. But who chose the players? Who chose the line-ups? Who chose the tactics?